Henry, who joined The O’Neal School in pre-kindergarten, is a three-time All-State recipient for the varsity swim team. O’Neal coach, Susanne Cooper states, “Ellie's iron-willed drive and innate talent, along with her strive to win at every level of competition, have made her an invaluable asset for the O'Neal Varsity Swimming Team. Not only is she a top-rate athlete, but as a team captain for the 2017-2018 varsity swimming season, Ellie's a fantastic role model for our team--she exudes dedication to her sport, her academics, and her teammates in an unparalleled manner. The Tribe is getting a stellar swimmer and student. I'm sure the Griffin will be thrilled to have her!" 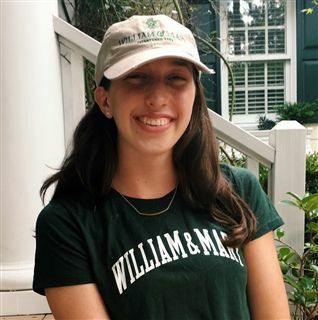 As a junior, Henry built on her previous athletic accolades in the pool, earning EPIC All- Conference and NCISAA All-State honors, winning the 100 backstroke in the 1A/2A State Swimming Championship. Henry had numerous offers to swim in college and plans to study film and media studies, with a minor in marketing. Founded in 1693, The College of William and Mary is the second oldest University in the United States. William and Mary is located in Williamsburg, Virginia, and is an NCAA Division I member competing in the Colonial Athletic Association Conference.